If you skim Elisa Albert’s website, you’ll see plenty of accolades for her novel The Book of Dahlia. Many of these come from such highly regarded media as The New Yorker, The Washington Post, The Boston Globe, and so forth. But which one jumped out at me? 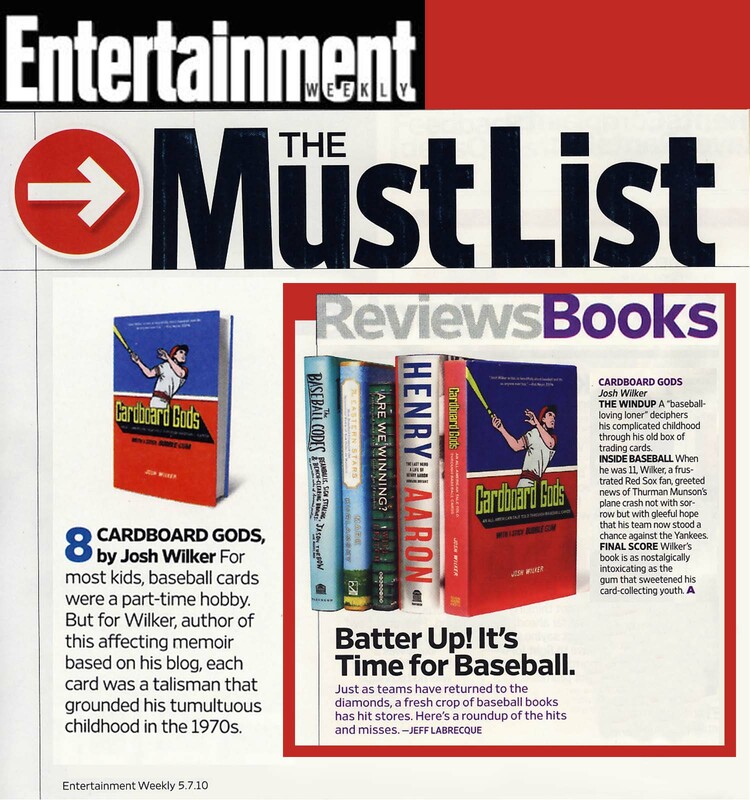 That would be Entertainment Weekly, which called The Book of Dahlia one of the Ten Best Fiction Books of 2008. You see, my mom has rubbed off on me a bit. Growing up in my house, my mom used to joke that the TV Guide was the bible. While it always retained that level of importance, I feel like Entertainment Weekly might have been starting to edge it out. My mom was always caught up on her Entertainment Weeklys, both in magazine and website form. And it seems to have influenced her reading choices. On top of that, though, the article also features two other books from Robin’s Reading List. There’s Richard Price’s Lush Life, which I haven’t read yet, and The House on Fortune Street, which is one of my favorites from this project so far. Additionally, Entertainment Weekly includes American Wife, a book that my mom recommended to me earlier and I read for my book club. Everyone in the group really liked it. It’s that time again when I have to pick my next book on the list. However, I’m not likely to start it just yet. Right now I’m in the middle of Dan Chaon’s Await Your Reply for my book club. Since I’m hosting with Carley and we meet in less than a week, I figured I should probably get around to starting and finishing the book. It should be good as my mom had good things to say about it. 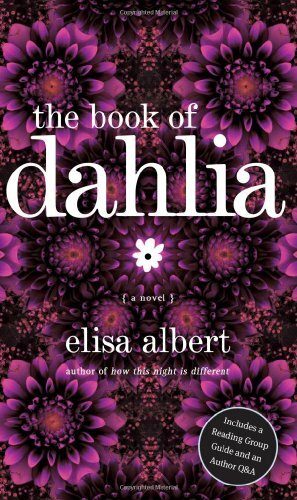 Once Await Your Reply is said and done, I will move on to The Book of Dahlia by Elisa Albert. I impulsively (and accidentally) bought this as a paperback a few months ago and put it aside in favor of e-books. However, I’m ready to give my Kindle a break and pick this one back up. Meet Dahlia Finger: twenty-nine, depressed, whip-smart, occasionally affable, bracingly honest, resolutely single, and perennially unemployed. She spends her days stoned in front of the TV, watching the same movies repeatedly, like “a form of prayer.” But Dahlia’s so-called life is upended by an aggressive, inoperable brain tumor. Stunned and uncomprehending, Dahlia must work toward reluctant emotional reckoning with the aid of a questionable self-help guide. She obsessively revisits the myriad heartbreaks, disappointments, rages, and regrets that comprise the story of her life — from her parents’ haphazard Israeli courtship to her kibbutz conception; from the role of beloved daughter and little sister to that of abandoned, suicidal adolescent; from an affluent childhood in Los Angeles to an aimless existence in the gentrified wilds of Brooklyn; from a girl with “options” to a girl with none — convinced that cancer struck because she herself is somehow at fault. With her take-no-prisoners perspective, her depressive humor, and her extreme vulnerability, Dahlia Finger is an unforgettable anti-heroine. This staggering portrait of one young woman’s life and death confirms Elisa Albert as a “witty, incisive” (Variety) and even “wonder-inducing” writer (Time Out New York). I’m going to be honest and say that until I copied and pasted that summary above I did not realize I had chosen yet another book essentially about death. But this blog post was already almost done so it hardly seems worth putting off again. My mom really knew how to pick some uplifting reading, eh?